Steve Frieze, a Removal Company Surrey, offer a full removals service in Surrey, London and the UK mainland. The first step is to ask us in for a removal survey and quotation. Quotations are free and without obligation. We are available to quote at a time that suits you! Call your removal company Surrey on 020 8680 5235! The survey is essential for a smooth and efficient move. Our quotation for removals is based on the items that need moving, and the ease of access. In addition, the survey will consider any problems relating to parking on the day of the move. It will enable us to provide you with the necessary guidance. Ensuring there are no unexpected problems on removal day. Our office manager will use the survey results to get any permissions required from local councils etc. i.e. Red Route, Double Yellow Lines etc. Just what you would expect from an experience removal company Surrey. When we visit your property we will look at what items you have that need moving. We will assess how much you will need in the way of packing materials. We will consider how easy certain items will be to move. We can advise you on those expensive and antique items, offering help with larger items that may need assembling. 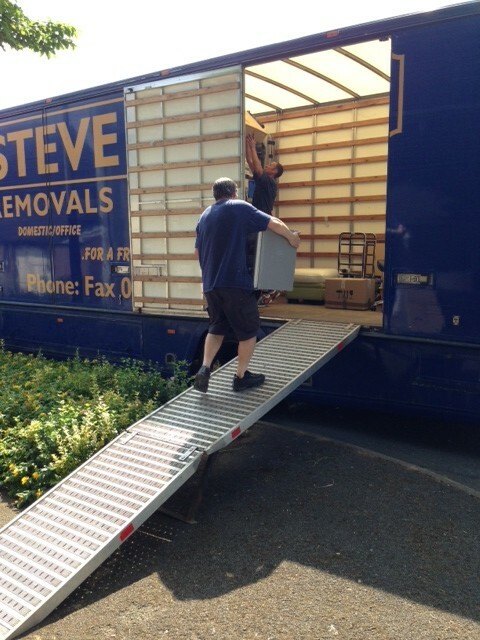 We also offer a specialist packing service, normally undertaken on the day before you move. This gives you peace of mind and additional time to look after other distractions. Packing the van on the day of removal isn’t just a case of loading the furniture. Then fitting the odds and ends in any available nook or cranny. Our removal company Surrey staff is highly skilled. They know how to maximise the available space within the van. We will pack your belongings to ensure a damage free journey to your new home.